I didn't notice the glowing white figure in this picture until over a year after I'd taken it. 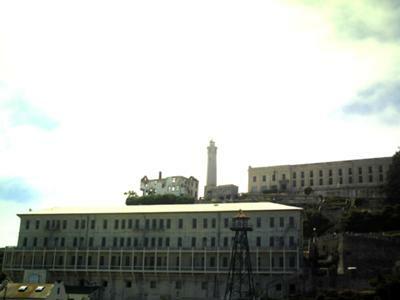 My roommate and I went to Alcatraz August 2nd, 2009. 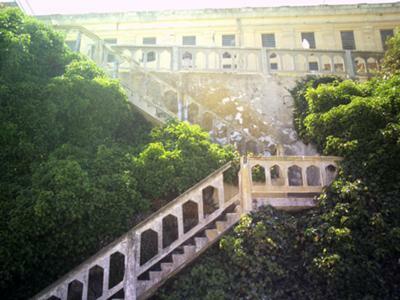 This photo shows a staircase up a hillside with the side of the cell house above. 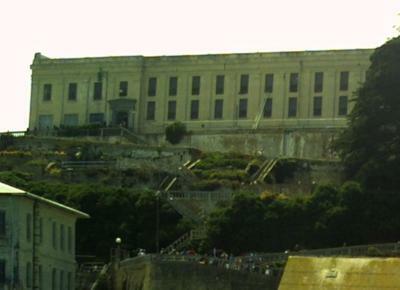 If you follow the line of the stone railing, you will see what appears to be a bright white human-looking figure outside the third floor window, (second window to the left of the vertical pipe). 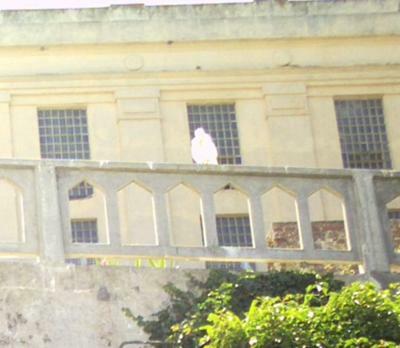 The window behind the figure had either bars or grating that is not visible on the figure itself. I looked through photos of the same window from other angles and could not explain what appears in this photo. I am interested in people's thoughts on the picture.